The story of Uwe Zahn, aka Arovane, is one of persistence of vision, even when the world pays no heed. It's also the story of a dysfunctional music industry model that often fails the artist, yet the artist persists. To listen to Arovane's music is to alternate between joyful exuberance and brooding introspection, and ride the peaks and valleys of human emotion. After years of struggling to get noticed as an artist, and then finally doing just that and becoming one of the august talents of his community, he would have everything dissolve almost overnight--through no fault of his own. In frustration, Zahn sold off much of his studio equipment and used the proceeds to buy a motorcycle and drove off into the horizon and did not look back, for almost a decade. But we are getting ahead of ourselves, because this story does have a second act and it would make sense to start with the first act. Uwe Zahn was born in 1965, Hamein, Germany, son to a mechanic father and homemaker mother. Experiencing music, through his parents' record collection and through the radio, are among his early memories. Zahn's strongest recollections of music played at the time, what drew him in the most, was electronic music. There was something in the textures in tones that piqued his interest, starting with the cute, cartoonish song, "Popcorn." "Popcorn" was composed by Gershon Kingsley in 1969 with a Moog, followed by an even more electronic version covered by the band Hot Butter in 1972. In fact, it was a number one hit in Germany for three weeks. As Zahn recalled recently, "I remember the first electronic sounds I heard, it was a track called "Popcorn" with this very short melody, the synthesizer sound or it was an organ, I don't know which instrument it was, but it caught my attention immediately." Zahn was also drawn to the music of Kraftwerk, Tangerine Dream and Klaus Schulze. When he was old enough to get an allowance, he would buy all of Klaus Schulze's records and marvel at the photos on the sleeve and inserts, "The first LP of Klaus Schulze I bought was X (1978). It was a double LP and there is a booklet inside and you can see this huge Moog synthesizer he is sitting in front of and I was so fascinated by these huge machines, synthesizers and the sounds he made with it. I tried to make some sounds by myself but I did not have the money so I tried to build my own instruments and bought some cheap microphones and made some recordings in the house and my father recognized that I was interested in making electronic music and he bought me a Casio keyboard. I tried to make sounds with it but it was limited." Though the Casio keyboard was limited, the very act of Zahn's father being supportive validated his ambition and helped preserve it into later years as he graduated secondary school and entered vocational school during the 1980's. By then, his love of electronic music encompassed places outside of Germany such as the USA and Japan. "I listened to a lot of records. On the radio, there were stations that played electronic music from Laurie Anderson, "O Superman" a quite minimalistic electronic piece, very high in the charts here in Germany. I listened to Yellow Magic Orchestra at this time and I told my friends and they replied, 慪ellow Magic Orchestra? What's that? Where are they from?' I replied, 慞op music from Japan.' Yellow Magic Orchestra, nobody (among my peers) knew them at the time but I was very interested in that sound they made. I also listened to the BBC and heard minimal music, Gamelan music, The Residents, early Brian Eno. I explored experimental electronic music from the GDR, USSR, Italia, Musique Brut, Musique Concrete, Pierre Sch鋐er, Atonal music, Arnold Sch鰊berg, Bernard Parmegiani, Oskar Sala..."
Pragmatically, Zahn moved to Hameln during the mid-80's to train in a career in assisting the handicapped. "I like handicapped people very much because they are often more sensitive than you or I and they are special in many ways. I like how they act and speak and they are very often very thankful in their own way. That's very funny and very good in a way." His intent was to work part time, perhaps 30 hours a week, so he could focus the rest of his hours on making music. It was also during this time, after much saving and with help from his parents, that he invested in a Korg MS20 modular synthesizer, a significant purchase, even by today's standards. In fact, many notable bands use either the vintage or re-issue version of this synthesizer, even now, including Orchestral Maneuvers in the Dark, Depeche Mode and Portishead. "I took all my savings to buy a Korg MS20 and a cheap analog delay, I think it was 1983 or 84 and I started to (seriously) make electronic music and record onto tapes and mix and did some experimenting. I picked up a broken tape machine, you couldn't play the reels, but I used the amplifier of this tape recorder to make some strange noises. I was always interested in strange noises--crackling and hiss and textures and I recorded this and played some sounds to it and filtered it through the MS20 and so on..."
While making sounds and recording on his own was now possible, it was much harder for Zahn to share his music with others, join a band or even get noticed. He searched for opportunities with bands who needed keyboardists. "I tried to find a community interested in electronic music like me and Hameln is a small city and I remember I found a note somewhere about a music pop group searching for a keyboardist. I called them and we met for a session and they played their rock-pop stuff and I played some lines, melodies, noises and one member said, 憃h, can you please lower the volume?' and 慶an you please play some pads in the background.' "
While it was difficult for Zahn to find others as interested in electronic music, that would change. More powerful than the synth-pop music that dominated the charts would be the emerging underground scenes of electronic dance music that rose in popularity and practically engulfed youth culture in the �'s. After Zahn graduated vocational school, he then moved to Munich where he met other electronic music enthusiasts and got together in experimental music sessions. The advent of rave culture and attendant early strains of house, techno, ambient and breaks all coalesced with the fall of the Iron Curtain in 1991 and the subsequent unification of East and West Germany. East Germany provided opportunities for the young artist. First, cheap housing for the cash-strapped youth and large spaces to hold events and parties--the perfect catalyst to cultivate burgeoning artistic scenes. Berlin became a cultural focal point and Zahn was among throngs drawn to it, "I think Berlin influenced me (as a musician). I moved to Berlin in 1991, to the formerly Eastern part of Berlin and all the houses were un-renovated and you could see the holes from the shooting from the Second World War. Everything was grey, everything was broken but it was very interesting. It was very intense time to live there. I moved into a quite huge flat (with) 90 square meters for cheap and lived there and made music. That special time after the wall came down, I think that influenced me." Despite the dominance of the rave/techno scenes when hundreds of small labels flourished, Zahn's music did not find a home until the late �'s. "I was quite upset with Berlin because for me, it was a capital, (an) 慹lectronic city' in Germany and I had some very high expectations because a lot of famous electronic music producers lived there. I found nothing. I didn't find a label. Nobody was interested in my music so I thought it was time to move back to Munich." In 1997/98, on the verge of leaving Berlin, while Zahn was in his early 30's, he finally 慴roke-in' and got noticed. He sent in a demo of breaks to a KISS FM radio show run by Thaddeus Herrmann aka "Thaddi" from Das Filter magazine. Herrmann liked the demo so much that he invited Zahn to do an interview. During the interview, Zahn expressed frustration at being unable to find a label and platform to release his music. Hermann put Zahn in touch with Sascha who co-ran DIN, a record label, with Torsten Profrock. Herrmann remembers, "I was co-hosting a show on KISS FM together with Sebastian Eberhard aka DJ Bassdee. The show was called 慠adio Massive'. It was all about Drum & Bass and we received quite a lot of demos. Uwe sent one as well. We got to know each other better and at some point I went over to Uwe's place where he played me all these non Drum & Bass tracks which as far as I was concerned, needed a home. I gave a tape to Sascha. Uwe had piles of DATs with great tracks, all ready to go. I was happy to learn that Sascha would release them." Co-label manager Profrock, who also happened to go under the flippant moniker Various Artists where he released techno on the legendary Chain Reaction label, also heard something in the demo. Though it was at odds with a lot of the dance floor material coming out at the time, they decided to release it on DIN. Enter the I.O. 12" release, an introspective, near-brooding yet deeply atmospheric and pleasantly mechanical release. To add another layer of fortuitousness, the vinyl lacquer was cut by Robert Henke, another luminary on the Chain Reaction label who went by Monolake. As it was shaping up, Zahn was in august company. Rather than release it under his own name, Zahn chose to go by the moniker, Arovane, which is suggestive of some anime or video game hero. Like his own moniker, the track and album titles actually come from word games Zahn likes to play, "They (the album and track titles) are cryptic. I love to play with words and it's kind of a strange nomenclature. I use that to name all my sounds. Presets, synthesizer samples, whatever and to name that and to categorize them, the sounds. You know, just play with parts, words, and doing like a puzzle, rotating in my head, and there is "Atol Scrap." I took the sum of the words or samples or presets for the track names for the album." I.O. opens with the title track, which characterized much of the early 慉rovane sound.' A pensive keyboard note opens the track as rhythmical mechanical patterns emerge in layered loops, followed by more pronounced keyboard melodies set to introspective overtones as well as a kind of subdued optimism. The following track, "Parf," has a more spacious, echo-y delay feel with restrained percussive elements and keyboard loops like waves, with additional keyboard sounds washed in atmospherics. The track evokes the science fiction of Moebius, while the echoes and delay install a sense that these are recalled from faint memories. "Torn" opens with distant mechanical patterns and wispy atmospherics, perhaps of passing futuristic vehicles and then pensive, layered keyboard melodies and sharper mechanical punctuation, hydraulic pops and laser sealant. Though introspective, there is also a child-like, storybook-innocent-quality to it. This music could soundtrack Osamu Tezuka's Mighty Atom (aka Astro Boy), which is both an optimistic and sullen tale modelled on Pinocchio. The mechanical textures of Arovane and the various moods fit right at home. The concluding "Andar" has rhythmic clicks and layers of distant mechanical loops, followed by more pronounced percussion and more sullen, introspective keyboard melodies. Part of the textures Zahn worked with came from his capacity to use unconventional sources as material and make them musical, "I had a Fostex D-80 digital eight track recorder and it has a scrub wheel so you can scrub through digital recordings and also produced a scrub-through-digital-glitchy-sound which I often sampled and used as percussion or drum textures or whatever. The whole album was recorded in sessions I made in the studio. I made a recording with different versions of the tracks I worked on and I played it to Sasha from DIN and he said, 慣hat sounds nice, we can take it.' Then he asked, 慍an we edit it?' and I replied, 慛o, I don't want to.' Because for me, the tracks were finished and that was special because every time I finished a track and I was satisfied, happy with it, I switched off all the machines and all the samples were gone. You don't have a display with the Fostex D-80, you can't cut and paste and stuff. Everything was gone and only the track was recorded." Some listeners compare Arovane to Autechre, but for IDM lovers, this is superficial. The breaks and mechanical textures and some keyboard tones and the complex-as-a-swiss-clock yet precise instrumental composition may be similar, but the music projects differ in a myriad of other ways. Autechre tends to be colder, more clinical with sharper, cleaner, near-antiseptic and vector-like textures. By way of contrast, early Arovane has a slight degradation or decay to it, similar to analog photograph prints left out in the sun too long. Echo and delay wash over and seep into the layered keyboard melodies and accompanied by rhythms and punctuated with sharp mechanical breaks. With Arovane, one gets the feeling of listening to long-lost artifacts with organic matter, like moss seeping into it. Unlike Autechre, Arovane tends to be more playfully spirited while still structured with the intricacy of a mechanical clock or super machine, much like Astroboy. This release was a significant occasion for Zahn, who dwelled in obscurity for far too long and not only did he find a supportive label but premiere talents who helped cultivate his work. That same year (1998), hot on the heels of I.O. came Icol Diston, which opens with the 19 second title track that had sharp breaks and tense overtones, followed by "Yua:e" which also has breaks and brooding and tense overtones which make way for layered uplifting melodies that cut through like sun beams through darkened clouds. This is a track of elation and joy, while "Icol Vern" has more tense melodies to metronome-like beats. By way of contrast, "Nacrath" and "Acval" are more upbeat as skittering, energetic beats interplay with jubilant energy. The latter has melodies like a toy box gone manic, with tones that are similar to thumb pianos or 憇teel tongue' instruments. The lacquer was cut this time by Rashad Becker, who happens to be one of the preeminent audio engineers in the music scene in Germany. Much of the mood and overtones can be attributed to the way Zahn felt while this recording was made. "慛orvum' and 慉MX' are tracks I recorded after the decision to stay in Berlin. As I described above, I thought to move back to Munich at the end of the �'s because I didn't find a label or other musicians to collaborate with. After I found DIN and (had) contact with Sascha and Thorsten, my creativity came back in a very positive and powerful way." The following year of 1999 saw three releases, each on a separate label, including AMX on DIN, Occer on City Centre Offices (CCO) and Plnt on [FWD:, each of them 12-inch records. "AMX" is a stand-out track that opens with a washing-machine style hum that acts as a bassline while a chorus of mechanical rhythms fade-in, which in turn are joined with uplifting melodies. Eventually, "AMX," together with I.O. and Icol Diston would also become the Icol Diston CD compilation released in 2002. The rest of the releases are fairly consistent early-stage Arovane, with the exception of the title track of Plnt, which is a tech-house track more at home with the likes of Basic Channel and Swayzak than the melodic IDM craftsman the listener has come to know. 2000 also saw the first Arovane CD, Atol Scrap, which is more a continuation of earlier material with similar textures and melodic styles. "Thaem Nue" is a near-melancholic breaks-and-melody piece while "Ambelio" contrasts with dreamy optimism, subdued rhythms and more pronounced yet rinsed keyboard melodies. "Revart Amx" instills the sense of a futuristic robotics repair hangar with its mechanical breaks loops that stutter with false starts at first until a fluid working pattern is achieved. "Amine" is the gem track on the disc that powers-in with jubilant, bubbling energy and graceful synth arcs and low end sweeps of a starship engine moving to elegant yet restrained breaks. Among the more interesting details of Arovane is the art work on some of the inner circles of the vinyl records and the sleeve art of the first two released discs. These were also Zahn's doing, who drew on his surroundings, with the blessings of Sascha from DIN. "I found a huge cluster of metal in the back yard and I took some photos because I am interested in structures in architecture and in nature and everywhere and I showed it to Sascha and he said, 慜h, it looks very nice, we can use it for the cover art for Atol Scrap.'" Things were picking up for Zahn with another full length album, in addition to the one on DIN, for CCO which would be Tides. CCO was a new label run by Thaddeus Herrmann who decided to champion Arovane's music, among others, like Ulrich Schnauss. Tides was a musical departure on several levels; there was a collaboration, on several tracks, with Christain Kleine, along with the incorporation of field recordings, more defined melodies and a positive mood. "I was in France with my brother for a weekend and bicycled around and we stayed in a very small village and I found an abandoned house and found some strange things there, old maps, and there was a very special atmosphere. It wasn't the main inspiration for the album, it was the whole thing- France and the coast and the people and this house. And so I travelled back to my home and my studio and I slept one night and I woke up and I had this very clear idea of how this new album would sound. So I had this idea to take this harpsichord to sample some breaks, jazz or hip hop music from old records. I asked Christian Kleine to play some guitar for me and so we had some sessions in his studio and his flat and he asked, 慤we, what should I play for you?' and I said, 慗ust play. I will play you some beats.' He brought out some records and we looped and sampled beats and he played along and he applied effects on the guitar and I said, 憈hat's it, we have the new album!' and that's how Tides was born. It took a very short time to record this album, five to six weeks. I sent one or two tracks to Herrmann and said, 慣hat's the new album'. He was very excited because Tides was the first full length album on CCO. After that, came single releases." The other interesting facet of this album was the use of harpsichord, "For me, the harpsichord is connected with France and with baroque music and I like baroque music and old music and I like the sound of this instrument. It fits perfectly to my idea I had that to mix some field recordings I've made in France and these harpsichord sounds. It was very nice to improvise with it and combine with sampled hip-hop beats. I used a sampler with very good samples of the harpsichord. I did not own the instrument. They are very expensive and it's hard to pick up the sound of the harpsichord because it's not very loud and you need some good, proper microphones to pick them up." The classic baroque harpsichord in tandem with hip-hop style beats is a surprise and the elements work together well. The album has a relaxed, down-tempo feel and the mood is a refreshing one. The din of human voices, field recordings of a distant beach, movements of gentle air currents and Christian Klein's dreamy guitar playing make for a serene listening experience. The tracks alternate between dreamy and mystery laden memories. Zahn proves to be something of a beatsmith, up there with DJ Cam, DJ Shadow, or any other sample and beat-driven project. In the following year, 2001, Zahn collaborated with England-based Elliott Perkins who went by the Phonem moniker. Their release, on the technically named Vertical Form label, had a similarly mechanical title, AER (Valid). Whereas Arovane could be considered the spacious, atmospheric, near-ambient vowels of the music, Phonem could be considered the hard consonants with the sharper, harder mechanical breaks, pops and general machine-like clamour on the verge of mechanical failure but never quite breaking down. This album is akin to a manic machine and a serene ghost and the interplay between them. AER (Valid) sounds a lot like Arovane's early material--but in sharper, cleaner more crisp resolution. As evidenced on Phonem's excellent solo album Ilisu, his music is a wondrous mechanical constant, of Swiss-clock intricate precision programming. Zahn remembers, "It was one of the first collaborations I did. It was interesting to see how other musicians work. Phonem worked with Reaktor software so it was quite interesting to see. He was quite focused on beats and sounds and all this digital processing and I just sampled a few sounds he made with Reacktor and put this into the Akai MPC 2000XL and sequenced that and so one of the tracks was born. It was the same to find names for sounds and I remember that we sat in the studio and were brainstorming about track and album title and I played with some words and did that puzzle thing I like to do and wrote down some words and tried to find some cool sounding variations and names like 慥alid' and 慉er' and stuff like that. So we just combined some snippets to form new words." 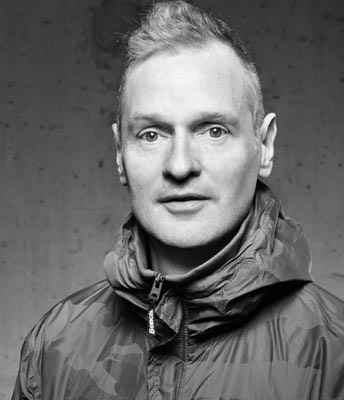 While things looked up for Arovane with more shows booked, his output actually slowed down to a 12" in 2002, a 7" in 2003, and no more full lengths until 2004 which would be his last in a decade. The last pre-hiatus Arovane, Lilies, is also the most opulent and straddles the lines between IDM, Downtempo, instrumental beats and even pop territory. Field recordings from Zahn's trip to Japan punctuate the release as well as vocals from fan and singer Kazumi, on the track "Pink Lilies." "Kazumi wrote me an email, asking me (that) she wants to sing. She loved my music and my tracks and she lived in London at that time and she asked me, 慤we, I am interested to sing to your music.' So I responded, 慜kay Kazumi, you are very welcome in Berlin. Come over, when you are in Berlin, give me a call.' She flew over to Berlin and stayed in my studio flat and I played her the first recordings of Lilies because it was after a Japan trip and we talked about Japan and the people and my experiences and so we recorded some vocal stuff and it came out very beautiful." With the mass adoption of digital downloads as a new way to access music as well as digital file sharing, record sales then plummeted. Indeed, records and CD's were expensive, especially overseas imports, which North American listeners had to pay extra for. Therefore, the idea of listening to music without waiting or paying large fees was attractive, even if the sound quality is not as good. Now labels were going under and in 2004, EFA one of the largest distributors for electronic music, went into receivership. Remarks Herrmann, "those were really difficult times when it came to selling music, especially CD's and even more so vinyl. People were mainly buying MP3's from iTunes. At the same time, the distributors desperately tried to act as major labels. It became harder and harder to just quickly release a record. That was also the moment when I slowly lost interest in the whole procedure. I did not want to give a release eight weeks of promo, then collect these "results" to my distributor and have him order 100 copies with a 120 days payment term. More label going through fewer distros with unpopular formats � this could not end well." On the work front, Zahn was having conflicts with co-workers and as stress hit him at multiple fronts, he sold off some of his studio equipment, bought a motorcycle and went on extended hiatus for almost a decade.